Pink snow mold develops during periods of snow cover, with symptoms of the disease becoming evident as the snow melts. 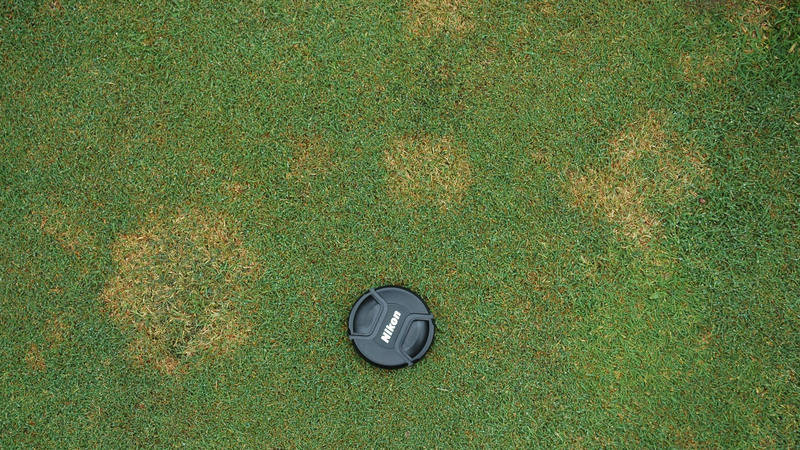 The disease appears in roughly circular patches from 2 inches to 1 foot in diameter that are white or light tan in color. A ring of salmon or pink-colored growth is present on the outer edge of patches when the disease is actively developing. The infected leaves within the patches are usually collapsed and matted down upon themselves. Disease activity is most severe when snow falls on unfrozen ground; however, activity can occur without snow cover during cool (less than 60°F) wet weather. Excessive foliar growth and thatch buildup are the most important factors encouraging development of pink snow mold and Microdochium patch. 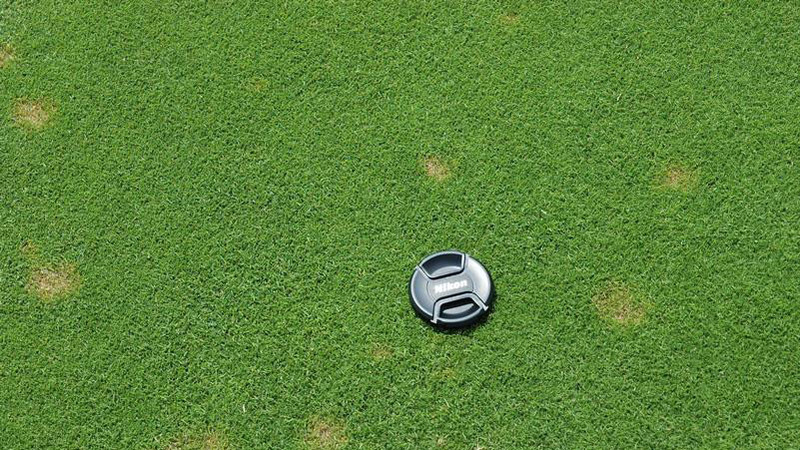 Restricted air movement, poor soil drainage, inadequate levels of potassium, and heavy traffic can also enhance the disease. 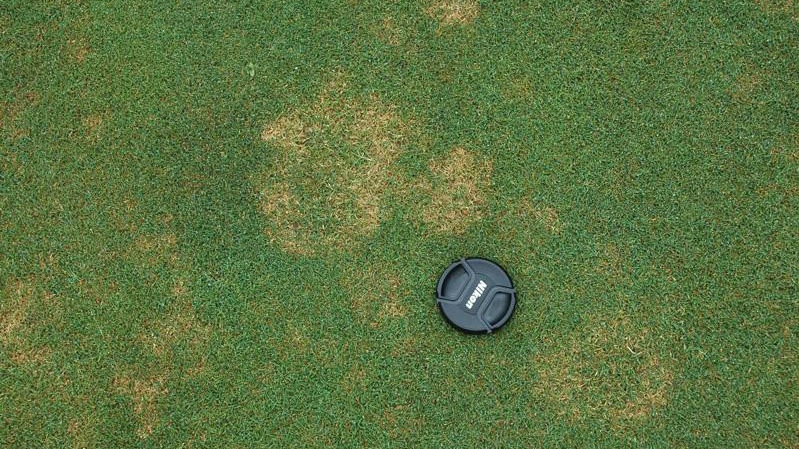 The disease may also develop under tree leaves that remain on the turf for long periods during cold, wet weather. Do not apply nitrogen when cold weather is expected or before the first expected prolonged snow cover. Continue mowing in the fall until foliar growth stops completely. These steps will prevent a buildup of lush foliage that is highly prone to pink snow mold or Microdochium patch. Improve surface drainage, control traffic patterns, reduce thatch accumulations, and aerify regularly in areas that have been severely affected by the disease in the past. Prune trees and remove unwanted vegetation that impedes air movement. Frequently remove leaves and other debris during autumn and winter from turf that is not covered with snow. In regions where heavy snow is anticipated, take steps to minimize the duration of snow cover. Erect snow fences or plant landscape plants in strategic locations to prevent excess snow accumulation. Prevent traffic on snow-covered turf, as compacted snow will melt more slowly and increase damage from pink snow mold. 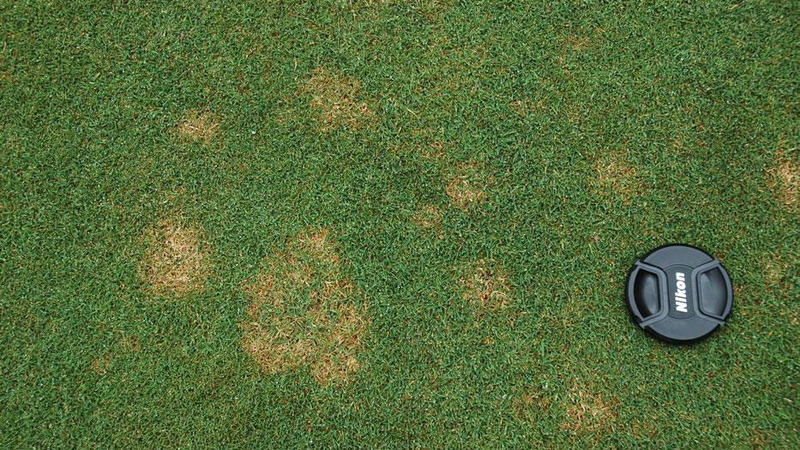 Fungicides are effective for control of pink snow mold and Microdochium patch. 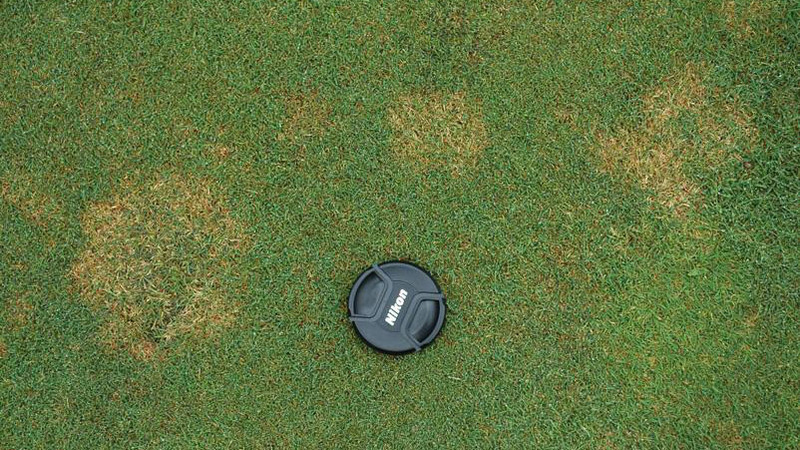 In the case of pink snow mold, apply fungicides before snow cover to prevent disease development. 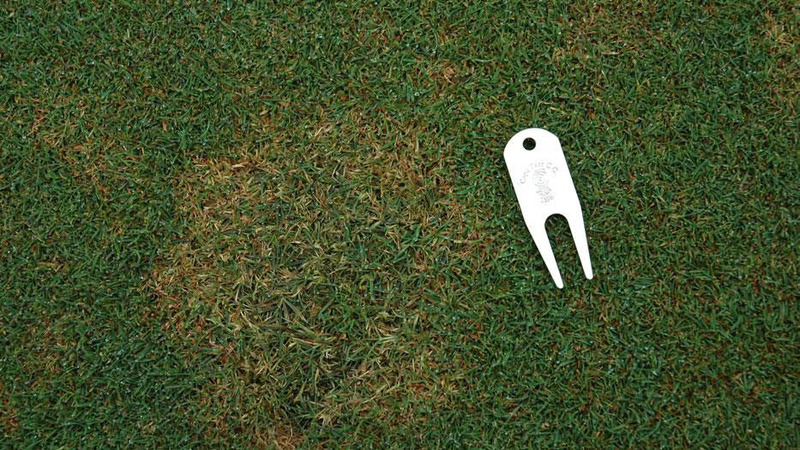 Mapping and spot-treatment of areas where pink snow mold is most severe can significantly reduce fungicide expenditures. 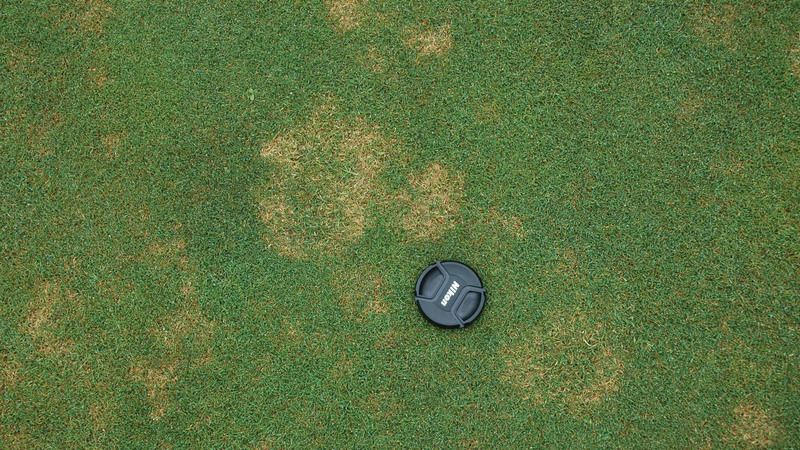 In regions where prolonged snow cover does not occur, apply fungicides when symptoms of Microdochium patch are first observed. Figure 1. 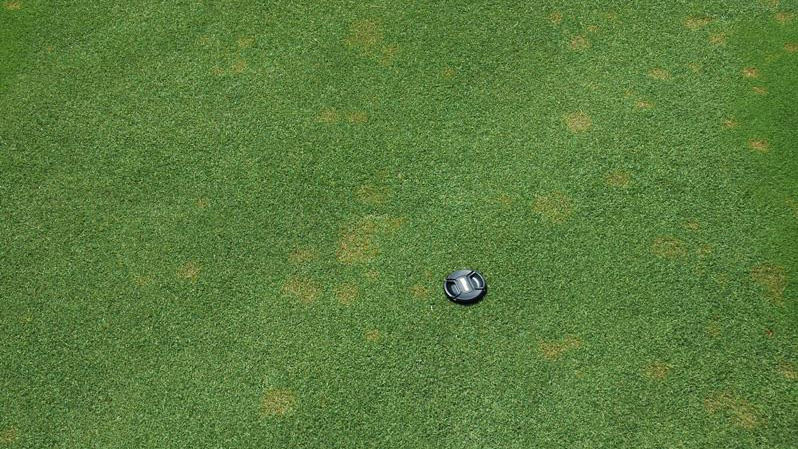 Microdochium patch stand symptoms. Figure 2. Microdochium patch stand symptoms. Figure 3. Microdochium patch stand symptoms. Figure 4. 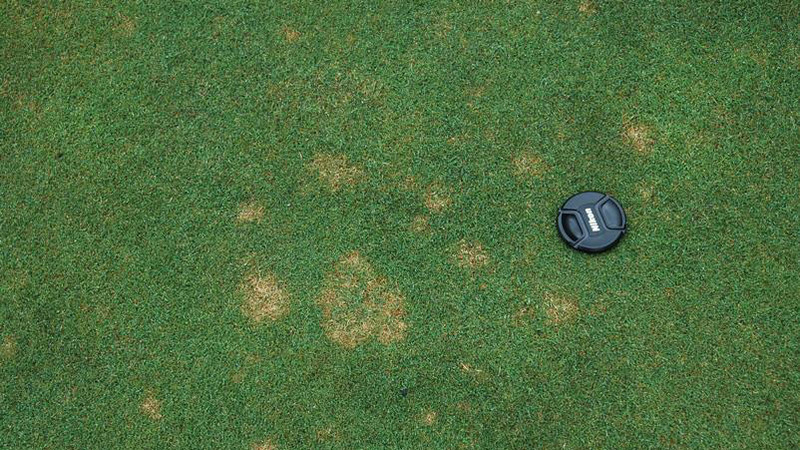 Microdochium patch stand symptoms. Figure 5. Microdochium patch stand symptoms. Figure 6. Microdochium patch stand symptoms. Figure 7. Microdochium patch stand symptoms. Figure 8. Microdochium patch stand symptoms. Figure 9. Microdochium patch stand symptoms. Figure 10. Microdochium patch stand symptoms. Figure 11. 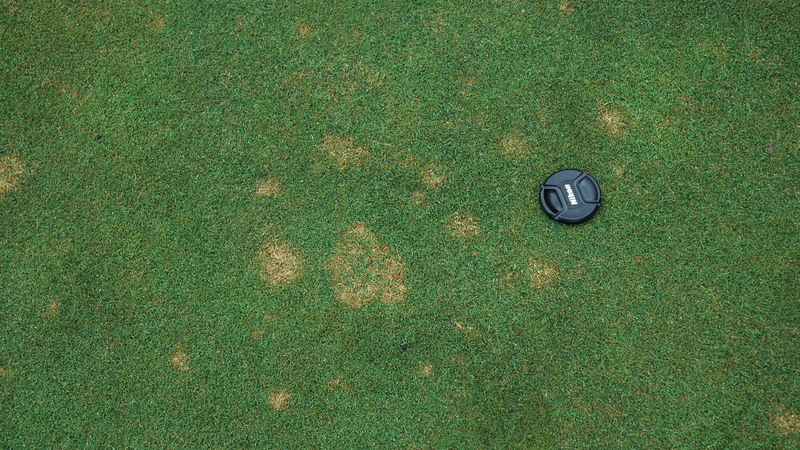 Microdochium patch stand symptoms.